And speaking of the government, I've spent the day doing my taxes. I don't actually do my taxes, I just take all the information I've collected throughout the year, organized it, and summarized the numbers so that it won't be a pain for my accountant. I could let him do that work, but he charges by the hour and it would get pricey. Today was another beautiful day here. I did get outside to stretch and walk in the warm sunshine. 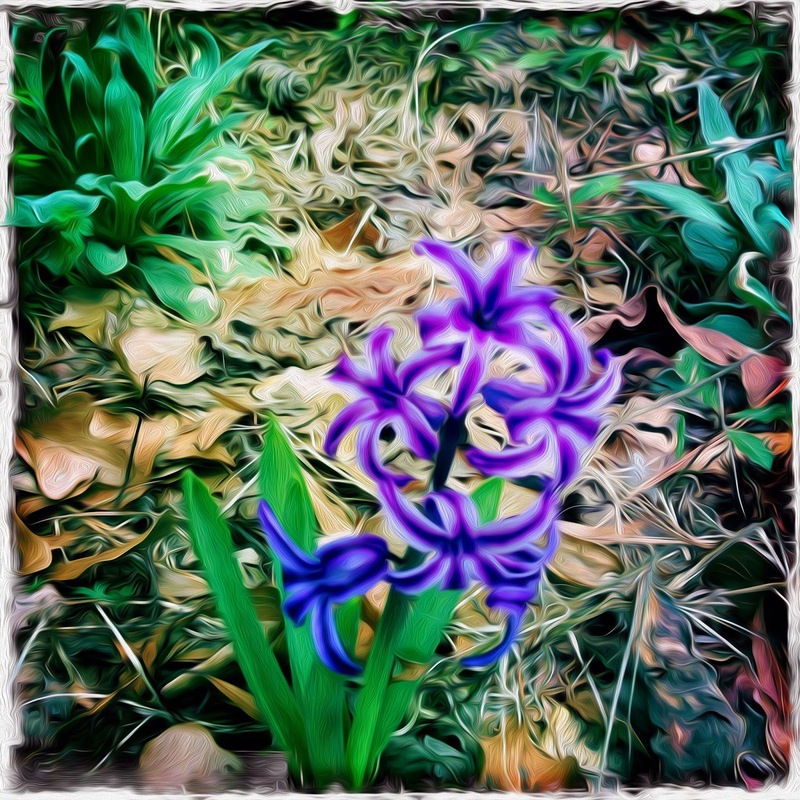 I snapped a picture of this little purple iris (I learned that this is a hyacinth. Thanks y'all for pointing that out) that started blooming recently. Jilda will call me a Cheater, Cheater, Pants on Fire because she shot a similar picture and posted on her blog, but I couldn't resist...even though I am a copycat. I hope you all have a remarkable Thursday. Purple irises are my favorite flower. I hope you'll post more pictures of this one when it's older. I love the purples. To me they are the color of spring. Speaking of TAxes..................... At least the colors are beautiful!!! Between the two the flower is most appealing. It is a fantastic catch. I think we are getting $4 back, I hope you do better! Good luck on your taxes. I just grab everything taxish from a box I throw such things into and take them to H&R Block. They get me better returns than I ever got myself.